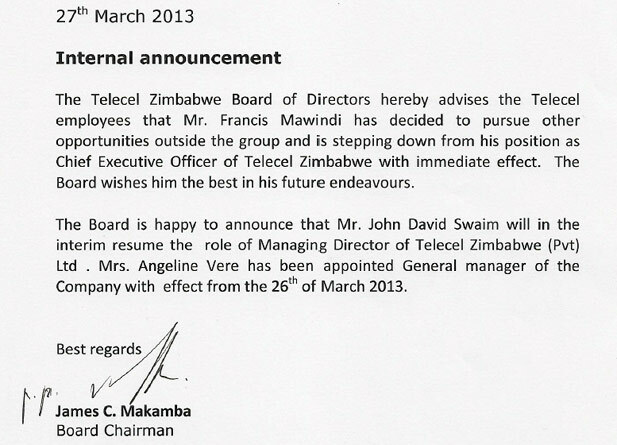 Barely a year after he took up the top job at Telecel Zimbabwe, Francis Mawindi is out. We received and verified information from our sources today revealing that the telecoms executive resigned with immediate effect on 26 March 2013. The reasons given so far is that Mawindi has made the decision in order to pursue other opportunities. It’s too sudden though, so there could be other issues at play here. Meanwhile, John Swaim bounces back in an interim capacity to sill in the gap. Swaim you remember, was interim CEO before Mawindi himself came in. One source told us Mawindi’s decision was made most probably as a result of a board meeting held in Cairo this week. Egypt is were the Orascom Telecom, the Telecel parent company, is headquartered. We’ll be posting any new information we get on the matter. It’s all about the PR, Buddie! Too much promos and now they have even extended their win big promo of which there is no clear reason to why. I believe they want to raise more money to pay for the “cars”, wish people would see this early and stop being used by Telecel..
Obviously this means he was fired allowing him to “resign” gives him a better chance of getting a job after this. 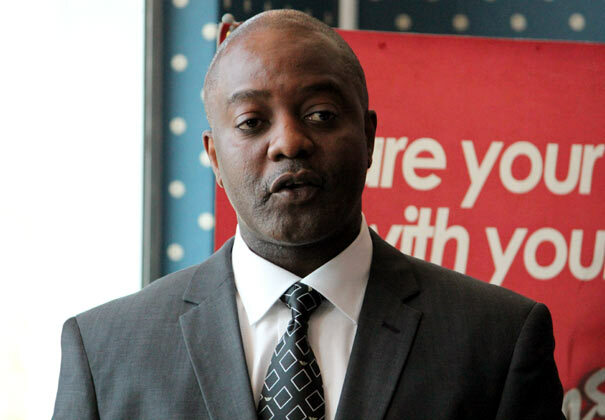 From the looks of it, to me since this guy took over, Telecel was taking a more direct way of benefiting its customers more and taking less profit.. This goes against the greedy culture of our bizness model in Zimbabwe were everyone wants to maximise the little they have. He would have succeeded into more mature economies were user and customer experience drive bizness goals. The other thing is that Telecel is full of politics and if you are a CEO who just want to lead the business and leave politics to politicians, you wont survive in that post for long. The chairman of Telecel is none other the thief James Makamba? No wonder the CEO job at Telecel is a revolving door. It will remain so as long as this dawk is chairman. The chairman of Telecel is none other than the thief James Makamba? No wonder the CEO job at Telecel is a revolving door. It will remain so as long as this dawk is chairman. It is more of corporate squabbles at a shareholder level.He is likely to bounce back come next Tuesday.Publication was a bit pre-mature on part of chairman team.He is likely to bounce back come next Tuesday.By the way we havent heard his side of the story saka chill a bit. and this article is relevant because….? I thought this is straight foward? This is a very relevant article, events in the industry, kana unezvinokunetsa enda unoverenga Herald kana Newsday iwe! the point is… people get fired, retrenched and move onto greener pastures all the time. sometimes its internal company politics or free will. its not as though telecel have closed down because of this. the show must go on! But this platform is for discussing issues that affect Technology in Zimbabwe (hence the name techZim), and the SUDDEN resignation of any country’s 2nd biggest MSO’s CEO makes news, and DOES AFFECT issues in the Tech industry, hence the need for the article here and also the +20 comments here! We all know Telecel stole the Mega Promo concept from local entrepreneurs, Trumbelt Computers / Mobile ConneXion. Mawindi, knowing full well that the Telecel had abused these companies intellectual property, and that the matter was before the courts, showed poor and spineless judgment when, like an intellectual dwarf, he presided over the re-launch of “MEGA PROMO” as “WIN BIG PROMO”. Needless to say, Trumbelt sued again and Telecel is now facing needless court challenges. Who will miss Mawindi? How does “MEGA PROMO” equate to “WIN BIG PROMO”??????????????? Now Roomer (is that the correct spelling) has it that he was fired because he was against awarding tenders to foreing companies for things that could be done by local companies. WHATCHUSAYABOUTTHAT?